Announcement: a Telegram bonus campaign has been launched! More information about it can be found in the original post. BitImage is a smart open digital marketplace with decentralized content licensing where you can trade, purchase, or search for unique digital media. We employ the groundbreaking capabilities of Artificial Intelligence and Blockchain to provide the most accessible way of getting the required digital content - be it a video, image, graphics, or audio. BitImage uses utility tokens of the ERC20 standard. They make the content purchases on the platform possible in the first place. Then, we use the Smart-contacts feature to implement an objective verification of all contract paragraphs compliance. In combination, these two virtual tools can help you transfer digital content with thorough tracking of licenses and fulfillment of the deal obligations. Stakes you will get from the campaign will allow you to get BIM tokens at the end of the campaign. You will receive 6% of BIM tokens, based on your number of stakes. 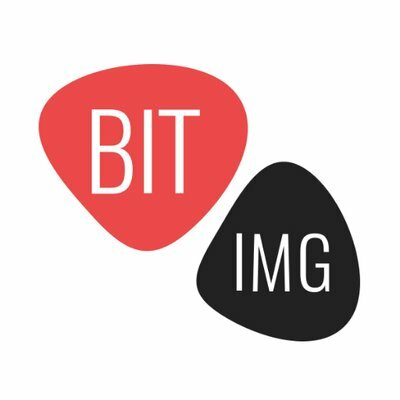 This campaign will last until the end of BitImage ICO (on 12th July, or before if the ICO is a success). Stakes will be distributed every week, on Tuesday. First stakes distribution will occur on 17th April. If you don't reach 15 posts before a Tuesday, you will not receive any stake for the current week. It must have a link to our website; BitImage.io and Bitcointalk thread. Send me a PM with the following informations. Your PM title will have to be "BitImage Articles Campaign Application". How to translate the ANN thread ? Go to https://drive.google.com/drive/folders/10y0xS2xa8oEvaPocsmvoPHxHwxgfTR9z. How to translate the whitepaper ? Go to https://docs.google.com/document/d/1ENVo6bwewle60y9EcL7MUvvFBhkGUfUWmvFhLoXzty8/. How to translate the onepager ? Go to https://docs.google.com/document/d/1NbTBLvKlQJotIWm6dQ61Y6T4sQ9x5Zq6Hc5N5Cmdc9U/. Fill this Google form : https://docs.google.com/forms/d/1ZJicvp1BAyPfx6ZAjFQreMMsuALfNrAa6V0PTrJwW6k/. Do you want to support BitImage and earn free bonus stakes ? Note: If you want to receive the bonus stakes, you have to wear this username until the end of BitImage bounty campaign. Fill this Google form : https://docs.google.com/forms/d/1rhdhaULCIAGZ-3DZ-k4dTRgp99Ec6dmwy-7fPUxMaMw/.